Immunization registries play an important role in managing public health. U.S. based Immunization registries have the ability to provide key data points in regards to coverage rates which help to improve immunization rates across the country. In addition, providers are able to use registry data to determine the immunization needs of their patients. When providers document vaccines for their patients the data that is sent to the immunization registries help determine what percentage of the population is protected from outbreaks that may occur for diseases that vaccinations can help prevent. Immunization registries are managed by each individual state. In the United States today, all 50 states, and several cities and territories, maintain their own registries. The Iron Bridge Pub Hub 2.0 platform helps facilitate the flow of immunization data from healthcare information systems including, but not limited to: EHR's, EMR's, Pharmacy Systems, and Environmental Health & Safety information systems. Pub Hub 2.0 has connectivity established with every U.S. based immunization registry thereby enabling it's customers to connect once to Pub Hub for bi-directional access to every immunization registry in the country. 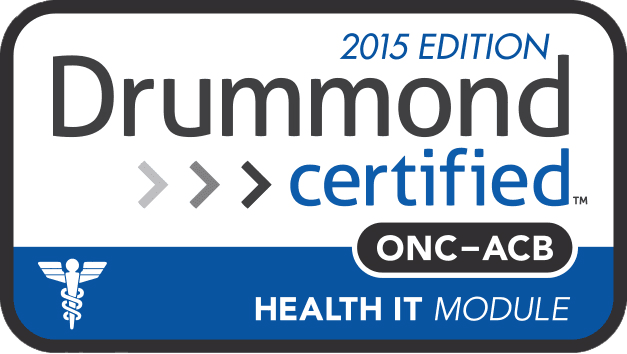 The 2015 Edition Health IT Certification Criteria (2015 Edition) builds on past rulemakings to facilitate greater interoperability for several clinical health information purposes and enables health information exchange through new and enhanced certification criteria, standards, and implementation specifications. The mission of the Nebraska Immunization Program is to support all providers in their efforts to protect Nebraska residents from vaccine preventable disease, disability, and death. Nevada WebIZ is a confidential, online computer system used in the State of Nevada to keep track of immunizations. At this time, New Hampshire Department of Public Health is currently not accepting immunization data from EPs. Immunization registries are confidential, population-based, computerized information systems that to collect and consolidate vaccination data about children within a geographic area. The Statewide Immunization Information System (NMSIIS), administered by the New Mexico Department of Health, is a confidential, computerized repository of individual immunization records . The mission of the New York Citywide Immunization Registry (CIR) is to improve the immunization status of all NYC residents by consolidating immunization information and sharing it with health care providers, families and agencies concerned with public health. At this time, North Carolina Immunization Registry is currently not accepting data electronically. The North Dakota Immunization Information System (NDIIS) is a confidential, population-based, computerized information system that attempts to collect vaccination data about all North Dakotans. The goal of the Ohio Department of Health (ODH) Immunization Program is to reduce and eliminate vaccine-preventable diseases among Ohio's children, adolescents and adults. At this time, Oklahoma State Department of Health Immunization Registry is currently not accepting data electronically. The PA Department of Health staff to provide top-quality programs and services that benefit the health, safety and well-being of all Pennsylvanians. The imMTrax Immunization Registry is a population-based Web application containing consolidated demographic and immunization history information. Missouri’s immunization registry, ShowMeVax, offers health care professionals, schools and child care organizations a one-stop shop for tracking an individual’s immunization history and status and allows providers to monitor vaccine inventory. 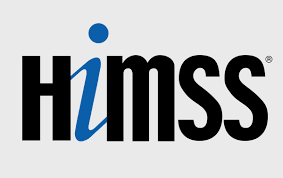 The Mississippi Immunization Information eXchange (MIIX) is the statewide registry for sending Meaningful Use Data for both children and adults. The Minnesota Immunization Information Connection (MIIC) is a system that stores electronic immunization records. MIIC makes keeping track of vaccinations easier and helps ensure Minnesotans get the right vaccines at the right time. MCIR benefits health care organizations, schools, licensed childcare programs, and Michigan's citizens by consolidating immunization information from multiple providers. The Massachusetts Immunization Information System (MIIS) is a complete, accurate, secure, real-time immunization record for residents of Massachusetts of all ages. Immunet is Maryland's Immunization registry for children and adults. Maine Immunization Program - ImmPact Data Exchange helps to reduce dual data entry between the IIS and external Partners. The Louisiana Department of Health Services is responsible for the oversight of Louisiana's immunization registry which is called LINKS. PhilaVax is an immunization information system (IIS) is operated by the Philadelphia Department of Public Health, is a confidential, population-based, computerized system. The Kentucky Health Information Exchange (KHIE) is the common, secure, statewide registry for sending Meaningful Use Data for both children and adults. The Kansas Immunization Registry, also referred to as KSWebIZ, is the statewide immunization registry. Iowa's Immunization Registry Information System (IRIS) provides computerized tracking of immunizations for children, adolescents and adults. CHIRP is the statewide registry for sending immunization data for adults and children in the state of Indiana. Idaho's Immunization Reminder Information System (IRIS) is a secure statewide immunization registry which will track, forecast, and help remind patients when immunizations are needed. The Hawaii Immunization Registry (HIR) is a free service of the Hawaii State Department of Health for people living in Hawaii. The Vermont Immunization Registry (IMR) is a secure health information system that contains immunization records for persons living in Vermont. GRITS stands for the Georgia Registry of Immunization Transactions and Services. The Georgia Immunization Registry is designed to collect and maintain accurate, complete and current vaccination records to promote effective and cost-efficient disease prevention and control. Florida SHOTS (State Health Online Tracking System) is a free, statewide, centralized online immunization registry that helps health-care providers and schools keep track of immunization records. The Division of Public Health receives data through the Delaware Health Information Network (DHIN). DelVAX is the Delaware Immunization Information System and Registry. The Immunization Registry stores immunization records for children as well as adults who live in the District of Columbia. This is the Virginia Electronic Registration for Immunization Programs (VERIP) within the Division of Immunization (DOI). The Washington State Immunization Information System (IIS) is a lifetime registry that keeps track of immunization records for people of all ages. Connecticut Department of Public Health (DPH) is currently working towards accepting immunization data, electronic laboratory reports for notifiable diseases and conditions, and syndromic data in a meaningful manner to improve public health from providers, hospitals, and electronic health records vendors. By participating in the Colorado Immunization Information System (CIIS), healthcare professionals, parents and individuals can rest assured that their immunization records are safe and complete. The Immunization Registry Module is an automated paperless system that allows users to consolidate immunization records into one reliable source. The RIDE Immunization Registry is the immunization registry for San Joaquin County for submitting both children and adults immunization records. The San Diego Regional Immunization Registry (SDIR) is a collaborative effort of the County of San Diego Health and Human Services Agency Public Health Services Immunization Program and other public and private health care providers, schools, child care and other county programs. The California Immunization Registry (CAIR) is a secure, confidential, statewide computerized immunization information system for California residents. The Wisconsin Immunization Registry (WIR) is a computerized internet database application that was developed to record and track immunization dates of Wisconsin children and adults. The Wyoming Immunization Registry (WyIR) is a secure, confidential, internet-based immunization database containing the electronic vaccination records of Wyoming residents. The WyIR system is administered and maintained by the Wyoming Department of Health Immunization Program. The Arkansas Department of Health is responsible for the oversight of Arkansas's immunization registry which is called Arkansas WebIZ. The Arizona Department of Health Services is responsible for the oversight of Arizona's immunization registry which is called ASIIS. Alaska's Department of Health and Social Services statewide immunization registry uses VacTrak for immunization records of both children and adults. The Alabama Department of Public Health is responsible for the oversight of Alabama's immunization registry which is called ImmPrint.